Cricket groundsmen know what they are talking about when it comes to grass. So when a cruise company decided to put a 14,000 square foot lawn on their newest ship, they knew exactly where to look for advice. 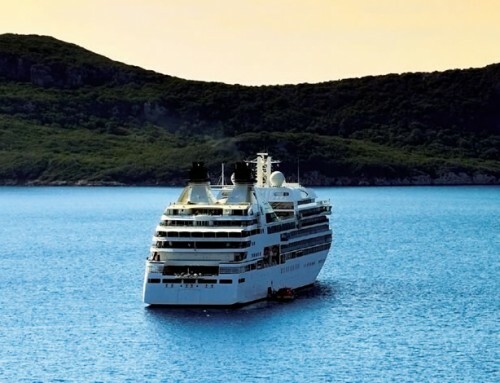 Celebrity Cruises flew Lancashire Cricket Club’s Peter Marron, 53, to Florida so he could pass on some of his 33 years experience to staff tending the grass on board the 122,000 tonne Celebrity Solstice. Peter, who has looked after the Old Trafford pitch since 1975, thought it was a joke when he first received the call. “I really did think it was a wind-up. It’s the kind of thing that Freddie Flintoff would do,” he said. “It’s really been a dream job. I’m led to believe it’s raining in Manchester – I’m heartbroken,” he joked. The lawn was developed using lightweight clay and volcanic pumice as a soil substitute to keep the weight down. “I was intrigued to see the lawn because it is something unique and it just goes to show what incredible things can be done these days,” Mr Marron added. The naming ceremony for the ship took place in Fort Lauderdale on Friday, and its inaugural cruise to the Caribbean will set off on November 23. The 2,850 passengers will be able to play bowls, croquet and putting on the lawn – a first at sea.